Posted on August 30, 2010 by Paul N.
Motivated by the discussions about human brain size shrinking, I did some research on the matter. The Brain size data are thoroughly summarized in this article [PMID 20378153] (http://www.ncbi.nlm.nih.gov/pubmed/20378153). The same point is made in a more popular fashion in this Times article (http://www.timesonline.co.uk/tol/news/science/article7060327.ece). 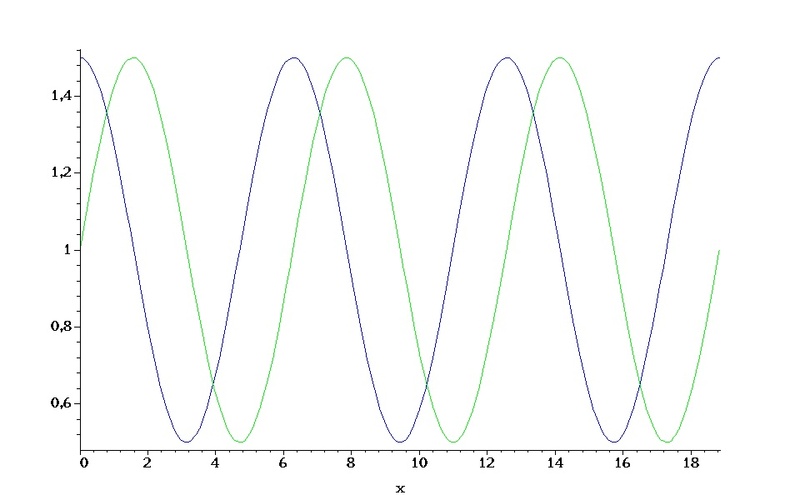 The hypothesis of allometry is added by this blog entry (http://adhominin.com/index.php?id=4152453199173583192). The article (http://www.livescience.com/history/091113-origins-evolving.html) also neatly reviews the fact but unfortunately without providing any reliable references. What is the fauceir perspective on that problem? Interestingly but not surprisingly, the shrinking of the human brain began with the evolution of human societies. You may date this back 5,000 or even 30,000 years. Humans organized in groups were much more effective at overcoming difficulties. An individual regardless its strength and intelligence had to succumb to a group. Therefore when humans began to form social groups an individual’s capabilities became less important for its own survival compared to traits that made this individual more suitable for this group. To put it bluntly, a quarrelsome individual even if strong and intelligent was less welcome in a group than a submissive one even if not so bright and tough. The corresponding fauceir rule states: The adaptation of a slave fauceir is controlled by its master. Thus, with the formation of societies, humans as a biological being became slaves to the dominating master, the society they live in. Often intelligent people were the most quarrelsome and therefore systematically eliminated. Yes natural selection began to work against intelligent individuals. A process like this, we observe in devolution and domestication. We have abundant evidence for this. It starts in prehistoric times. Remember the Bible, the Old Testament. Jacob’s intelligent son Joseph has been almost killed by his two less brainy brothers. He survived by accident and became a successful entrepreneur. In the New Testament, Jesus had not so much luck. In medieval times, his ostensible followers committed the first documented mass murder among such quarrelsome people during inquisition. Giordano Bruno was among them only because he lectured the heliocentric solar system. The culling of intelligent people proceeded til last century when Hitler, Stalin, and Pol Pot did the job. In summary, Darwin’s thesis that women feel more sexually attracted to brainy males might be true at the level of human individuals, but it is overrun by social factors, and soon, as biology is controlled by society, women’s sexual preferences will adapt. If you wish, you can see the fulfillment of this prediction right now as more and more women select their partners for social status and not intelligence. Posted on August 27, 2010 by Paul N.
Today I provide this link only which offers some new insight into quantum mechanics. The implications for faucer theory, and how these phenomena are explained in fauceir terms has to be postponed. Posted on August 24, 2010 by Paul N.
Two posts a day is a rare exception, but when I published my today’s post my eye fell on this article and the interesting discussion, so I couldn’t help but compose a comment. I fully agree with the notion that technology shaped human evolution. Still I have some objections. I believe they figured out how to carry their newborns using a loop of animal tissue. How and why should they do this. It is a great problem with evolutionary thinking from Darwin till today, that scientists believe in huge leaps forward. Darwin believed that adaptation leads to new species and Timothy Taylor believes that ape females developed the sling to carry their babies out of the blue. This claim leads to a question similar to what came first egg or chicken. The female apes have to evolve the sling to let heir babies grow more brain, but they need the brain to invent the sling. Though I’m inclined to go along with his conviction that slings might have been a great invention, I don’t believe that some day in the past an idea struck the mind of a female ape and she took the skin of an animal to build a sling and every ape agreed that this is a great invention. Some more reasonable intermediate steps could be made by the aquatic ape hypothesis. The buoyant force would help the apes to carry more brain and their children likewise. Moreover, accustomed to carrying their offspring on her back would automatically suggest the invention of a helping device when leaving the water, the sling. Following this hypothesis, one would assume that the first slings were made not of skin but of water plants that excellently suit the purpose. Evidence shows that over the last 30,000 years there has been an overall decrease in brain size and the trend seems to be continuing. That’s because we can outsource our intelligence. It is not that we outsourced our brain. It is that evolution is going on in a new fauceir embracing human individuals, society. It is exactly for these 30,000 years that societies evolved, and human individuals became only slaves to that master fauceir. Slave fauceirs usually show devolution. To put it more provocatively, less brainy human individuals better suited social needs. In other words, societies systematically got rid of individuals who were geniuses because they were quarrelsome and difficult to manage. People like to argue that you can apply Darwinian selection to, say, industrial design. That led Richard Dawkins to propose and Susan Blackmore to develop the “meme” idea – cultural analogues of genes that are not biological but they are still replicators and follow the basic logic of biological evolution. Not memes actually but fauceirs. It is too simple to transpose the behavior of genes to other evolving things. Genes are specialized fauceirs adapted to biological information transfer, genetic adaptation, and evolution. Other fauceirs show other types of adaptation, so the general rule is correct, the details don’t fit. Will computers eventually be able to develop their own computers that are even smarter than them, creating a sudden acceleration that leaves the biological behind and leaves us as a kind of pond scum while the robots take over? This is a loaded question, that everybody is inclined to answer: “We wont allow that.” But in fact, human already handed over their evolution to societies, and they feel comfortable with it. Societies provide food and shelter. As we have seen above, humans devolve, so they are no more at the top of the evolutionary pyramid. Humans are domesticated by their societies differently in different societies, but all the same domesticated. Thus there is no questions whether technology will replace humans, societies will replace humans, and they already do, see unmanned reconnaissance aircraft for instance. Conclusively, the most interesting question remains if sometimes in the future societies will be ruled by technology. I’m convinced it would. That’s the way evolution proceeds and how it can be interpreted by Fauceir Theory. 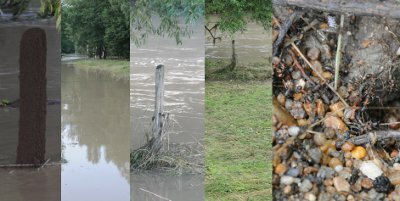 During this year’s summer flood, I got the opportunity to observe an ant colony struggling for survival. As we walked along the river bank, we saw a pale jam-packed with ants trying to escape the rising water. On our next visit, the pale was entirely submerged. Of course the flood washed away all the ants that clung to the pale, but at the bottom I spotted some ants still alive. I can neither say that these ants belong to the same colony nor that this colony preserved its ability to reproduce. At least this observation proves a remarkable survival strategy evolved among insects. Posted on August 20, 2010 by Paul N.
WEIRD is an acronym that stands for Western, Educated, Industrialized, Rich, and Democratic. It has been coined by Henrich/Heine/Norenzayan and caught some broader public attention by reflections in Science and Nature. The doubtlessly intended dual meaning of the term is to emphasize bias in psychological studies conducted on psychology students. The authors maintain that most of the people throughout the world don’t behave like psychology students. That’s probably true, but there is an other bias we are not yet aware of. Most people don’t behave like psychology professors either. That is, the problems chosen by the psychologists are not so much the problems our society has to cope with but rather problems psychologists feel important to their own lives. And not surprising then that the results are sometime adapted to the researches own wishful thinking. An other example psychological competence is determined by the psychologists’ mind is Hauser. What’s going wrong with his research can only be guessed. (I hope his data are not guesswork too.) But for sure, in his instance the friction between psychological research and social convictions became obvious. By contrast to physics, for instance, psychology is still a quite subjective science. This might change substantially if Fauceir Theory will be accepted. Then in psychology as in physics problems can be addressed objectively and solved by mathematical models. Posted on August 16, 2010 by Paul N.
In addition to the discussion about evolution and adaptation that ensued after reading the Pod Mrcaru lizard article here another argument that I came across while reading John Alcock’s “Animal Behavior”, an interesting book that I read with enthusiasm. On page 18 Alcock describes a study conducted by P. Grant and R. Grant on Darwin’s finches . This can be illustrated by the following graph. In this picture the average beak size and the average amount of precipitation are normalized they equal 1 (y-value). The blue curve shows the amount of precipitation and green is the beak size. The illustration shows how beak size follows the average rainfall. This illustration is not taken from the publication is my model calculation made based on these data. The axes don’t bear labels, intentionally, because the same set of curves can be applied to prey-predator relationship, the the adaptation of an eye to light intensity, and to almost every adaptation process. What makes the authors call this evolution? Is it because it involved genetic material? Is that the only reason? Then, for the sake of clarity, I’d prefer the term genetic adaptation and propose to reserve the term evolution to processes that involve progress. Is it because it involves natural selection? Well, according Fauceir Theory natural selection is subject to adaptation and evolution. 1. Alcock, J., Animal behavior : an evolutionary approach. 9th ed. 2009, Sunderland, Mass. : Sinauer Associates. xvi, 606 p.
2. Grant, P.R., Unpredictable Evolution in a 30-Year Study of Darwin’s Finches. Science, 2002. 296(5568): p. 707-711. Posted on August 9, 2010 by Paul N.
This is my first post after holiday that we spent, as announced before, in England. It was not, as I anticipated, a problem to accommodate to left-hand driving. Most of the roads we traveled on were either one-lane roads, such as shown on the picture, or multi-lane highways, so it didn’t matter actually which side you drive, and my driving habits didn’t had an impact on selection of neither British drivers nor fortunately myself. I easily changed my habit to left-hand driving, but we had a lot of trouble figuring out which side is currently left and which one right. Accustom to right-hand driving, turning left means cross the street and turning right is just flip the corner. Not so in left hand driving. Every so often my navigation system ordered a left turn and I as usual took the entrance across the street, which was certainly wrong and usually ended in ever narrower streets. In one town, I went the same circle two times till I realized that at one intersection I always took the wrong turn. To my satisfaction, I was not the only one who repeatedly made this mistake. My wife also yelled: “Turn right! To the right! Right! Right I said.”, and I did precisely as suggested. I was correct that time, though she didn’t admit, certainly. Not left hand driving but the narrow and steep lanes challenged my driving skills. 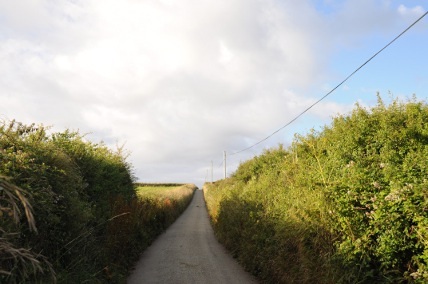 To someone who is spoiled by broad highways or highway-like roads or who only visited countries before where narrow streets even temporarily receive a one way sign, cannot imagine the excitement to drive a van in back gear, 200 meter uphill, with a slope of 20%, and a road so narrow that on both sides the bushes scratch. The car was smoking as a steam engine after that maneuver. But what all this has to do with evolution. Well, one would expect most Brits buy small cars to better navigate these road. In fact I’ve seen some small cars, but most often I met large SUVs that are quite uncomfortable in these narrow roads. Are they really? They a clumsy in evading for sure, but they are excellent in conveying the message: You must pull over. I wont. Don’t even think about it. It is the same thing that we encounter in biological evolution: The information content of an appearance is more important than its physical properties. This supports the fauceir assumption that evolution is about information not traits.